The project LLI-1 has started on 2017-04-03. The project aims to develop elderly care services by strengthening disease prevention measures and the creation new publicly available services for people with special needs by development of e-health services . Therefore cooperated social care and information and communication technology specialists from Lithuania and Latvia in this project will create a real-time human physiological parameters monitoring service that allows professionals to identify and assess health problems, to create individual physical activity programs in order to improve their quality of life, prolong their independence and increase their integration into society. The project declares that created pilot new generation social services through improved and newly created joint smart social services infrastructure, will create better opportunities to address Latvian and Lithuanian program challenges for sustainable development in Programme region. These solutions will enable the successful achievement of the Interreg V-A LatLit specific objective 3.1 of 3 program priority. To create and develop new social services the project will establish common Joint Competence Center for smart elderly care social services development, bringing together Latvian and Lithuanian social care, science and education community members enabling to exchange existing knowledge and competence. 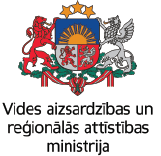 A pilot methodology and tools will be implemented in care homes in Latvia and Lithuania.